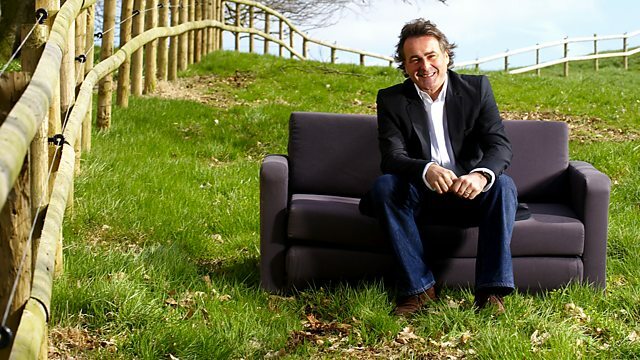 Suffolk 16 ‹ Series 12 Reversions ‹ Flog It! This episode comes from Ickworth House, an Italianate palace in the Suffolk countryside. Paul Martin is joined by experts Adam Partridge and Will Axon. Browse content similar to Suffolk 16. Check below for episodes and series from the same categories and more! Meet Oakham. He's a rare Suffolk Punch horse. They're known as Suffolks for short. And I don't mean Oakham. Welcome to "Flog It!" which I'm sure you've guessed is in Suffolk. Hervey family - the Marquesses of Bristol. way of life for nearly 200 years. the house and the estate for all of us to enjoy today. And they've certainly got their work cut out today. our two experts have to get busy with those stickers. I'll give you a yellow sticker. Can we have a look in your bag, see what we've brought along? -What colour are you, yellow? I can see more than four or five yellow stickers from here. Right, the late arrivals at the back of the queue. What was it, lie-in today, was it, this morning? What have we got? Come and show me your treasure. And the equally industrious Adam Partridge. Anyone fancy a pinch of snuff? inside the splendour of the rotunda and amongst the Italianate gardens. So, what are we waiting for? Let's get everybody in. On today's show we've got two unloved items. and paid far too much, I think. You've brought along this lovely glass vase. But which one will raise the roof over in Yorkshire? He's just wanting to steal the show, isn't he? Fingers crossed, everybody. I hope you have a great day. which, at one stage, was used by the Hervey family to play squash in. The Fourth Marquess installed the court. and get on with the valuing. where the Hervey family are watching over Will Axon in the dining room. had a Wolseley Super Six in his garage. But I think what he should have had is the old Mercedes Kompressor. I mean, it's quite a bit of kit, isn't it? -Tell me, are you a toy collector? -Yes, I do like my toys. I go to the car boots and have a look about. Get what I can. -So you're a car booter? -Ever gone to auctions to buy? -No, I haven't been to auctions yet. My initial thought was that it was a Schuco clockwork car. -I suppose it's pronounced Gescha. The firm was established in Germany, in Nuremberg, circa 1923.
the box is as important, almost, as the toy that's in it. So, you've got the original box, which is nice. Let's call it a little bit scuffed. It's certainly not in mint condition, is it? -Look at that, the car inside is in lovely condition. that's always nice to have as well. This is a bit of fun as well. The old sort of starting grid. -Yeah, a pit board starting grid. -Yeah, pit board starting grid. With a few names there, probably F1 drivers of the time. -Campbell - that's Malcolm, I think. Fagioli, we all know an Italian racing car driver, don't we? I imagine he would have been in the Ferrari, not the Mercedes. -Yeah, I should imagine so. -We know you got it from a car boot. I'm going to be cheeky and find out how much you paid for it. -The grand sum of £5. -You had to pull a bluey out, did you? -Yeah, a bluey out, yeah. I did try and knock them down but they weren't going to have it. I would say, on your fiver, let's stick a nought on the end. -How do you think a sort of £50-£80 as an estimate? -Yeah, you happy with that? -Let's reserve it at that £50, yeah? -I tell you what, does it work? -Yeah, it works fine. It's fine. Let's have a look. Hang on, let me get this key. -and knock over the priceless vase. It's still yours, you are liable for this. I'm doing it under duress. Let's pop her on the carpet and off you go, Mercedes. where Adam has found some reassuringly robust silverware. -Well, Jackie, what a lovely set of bonbon dishes here. -Now, tell me, where did you get them from? But they've been in the family for a long time. -They have, haven't they? I think they are delightful. -And they're nice quality, as well. They're very nicely worked. I'll just pick one up. Some of these are paper-thin. and they're not bending an inch. So they are quality. They are nicely worked, pierced and embossed. They're by a decent firm of makers. There's a D&F on the bottom, which stands for Deacon and Francis. Which was a Birmingham manufacturer. The date letter there is for 1891. -They are lovely. And you've got a set of six. -In the original case. Do you use them at all? The occasion doesn't really arise to put them out now. because people don't really use them. those six silver dishes, and fill them up with things. Which is a great shame. It would be nice to get them out. You need other things to go with them. -You know, beautiful glasses, beautiful china. -some sentimental value as well, don't they? -Down to the price, then. We've had our off-screen valuers look at them. -I think they'll make about £300. -How does that fit with your expectations? I'd like to put an estimate of £200-£300 to encourage interest. -Yep, that would be fine. What's the very minimum you think you'd take for them? -Yeah, I think that's sensible. because you cannot mislead people. £250-£300. -And they go on the internet? -Oh, yeah. Photographs on the internet. -I shall make sure of it. What would you do with the money if it made £300? Well... My son is getting married next year. -A trip up there, I guess. -OK. A wedding next year. -And you're happy about that, I presume? -Good choice, has he made a good choice? I'll be very happy to call her daughter-in-law. Oh, good! What a lovely story. And thanks very much for coming. there's a whole team of "Flog It!" crew making it all happen. But what happened behind-the-scenes in a stately home? to the grand rooms upstairs. We all know life was just as busy below stairs. Where I am now would have been the busiest part of the house. dairy areas, cold storage, you name it, it's all here. footmen - all under the watchful eye of the housekeeper and the butler. let's make our way to the sunshine of the pleasure grounds. Italian-inspired rotunda, which is quite something, isn't it? inspired by a culture on the other side of the world. and show everyone at home what you've brought in today. A rather special, I think, travelling easel clock. -and we had to sort the place out. We found it in the wardrobe or drawer, I can't remember. So it's never been out on display, you don't remember it? -Don't remember it at all. -Do you have any idea where your parents got it from? -it's possibly from their parents. Because it's actually got a rather good pedigree, shall we say. Callow of Mount Street in Mayfair. Really top-class retailers. the moneyed folk went to buy their goods. And then, the clock itself, it's certainly striking, isn't it? very popular around the time of this clock, circa 1920, should we say. You've got this shagreen background. Shagreen is ray skin. It's an expensive material - it's a sign of quality. Then you've got this rather fine lacquering. You can see it's almost proud of the surface, it's 3D. that takes some time and certainly skill. Then you've got this faux bamboo border. Which, again, is just a little touch that lifts it above the rest. -cos they had it tucked away. -You haven't made your mind up? -Maybe when I tell you what it's worth. if I can get it into sale with an estimate straddling that £200 mark. -Could we say £150-£250 as an estimate? -and fix the reserve at 150, what do you think? Georgie, it's really nice for you to bring this along to us today. -and hopefully get it away at the auction. I was very pleased to see our next item walk through the doors. Tracey, thank you so much for bringing a piece of furniture in. -We brought it in for you. -That was the whole idea. because this is the only piece we have here today. I'm absolutely in love with it as well. you can see it flattens out into a good working surface. you've got a lectern or a little easel. It's portable, you can fold it up. It's almost like a little bit of campaign furniture. Right, I like this, I'm off! I'm not allowed to have furniture like this in the house. -and then I sell it on to buy another piece. It's made by Hatherley in Gloucestershire. in the 1880s, this whole geometric bracing. And you can see it in Hatherley stepladders. Do you know the good old Victorian stepladders? Well, I've had a couple of those myself, just to look at and monitor kind of thing. My dad has one as well! Sadly, we don't have it any more but it had exactly the same thing, made of English oak. and dry, but look at the top. Somebody has put something here that's stained the oak. I like that. That's part of this table's use and social history. with a bit of polish, this will look absolutely beautiful. Well, I think that's superb and just look at the lines on that. -Yes, it's classic, I think. -That's 20th-century modern at its best. -How much did you pay for this? I think you could easily double your money at auction. -Would you like to sell this? Yes, I need to sell it and buy the next piece. of maybe £40 to £60 with a reserve on at £40. that loves design will absolutely love playing with this. for a look around the area. inherited the village of Thorpeness on the Suffolk coast. to transform Thorpeness into a fantasy holiday destination. fairy-tale features and unique elements I'll be exploring later. and fire the imagination of the children. would require for the perfect wholesome break. a church and even a pub were all centred around the boating lake. is a font of knowledge about this enchanting place. "have a holiday," and I think that's as true today as it was back in 1910.
and indeed with our grandchildren now. the Meare is an enormous boating lake covering over 60 acres. and a friend of the family, JM Barrie, of Peter Pan fame. and was completed two years later in 1913.
have been doing so for generations. that I've come to take a closer look at today, and you can't miss it. You can spot it a mile off. one can see what appears to be a cottage lodged in the trees. a basic water supply to the Thorpeness village. horrible on the horizon that you could literally see for miles away. He didn't know what to do with it but there was a solution. it into a house, I will live in it." and that's exactly what happened. There is the end result. Ogilvie carried out an ingenious disguise. and even fitted with windows to make it look like a small house. unique living accommodation below the tank. It really is The House In The Clouds. -Oh, pleased to meet you. -Hello Paul, do come in. and today it's a private residence. And as a special treat, I've been invited in to have a look around. -carrying all your shopping upstairs, would you? -So, Mrs Mason was the first person to live here. Yeah, how long ago was that? might have been '40 when she moved out. The war caused it. -Yeah, and when did you move in? -And you've had lots of happy years here? Can I have a guided tour, can we start climbing some stairs? Mrs Mason lived here with her four children. Come in, Paul, to the drawing-room, here. -This is a nice room. -It's very arty and bohemian. This is some of Mrs Mason's work. There is The House In The Clouds poem, number one. "The fairies really own the House, Or so the Children say". where lots of children can have fun? it's quite amazing how it has that effect. designed for her to live in, that's why it has that fairytale quality. and he called her his lady of stairs and starlight. Yeah. And there's plenty of stairs here, I would imagine. Was it always called The House In The Clouds? -"This is my House In The Clouds". -It's a much better title, isn't it? -Well, this is the first floor explored, can we go higher? Right, you've got your walking boots on. but it's what's above them that I'm interested in. Here we are. I always run up these stairs. So, are we now standing inside what would have been the water tank? -We are. 50,000 gallons of water, when I moved in. -You wouldn't want a leak, would you? You wouldn't, but it was very, very solidly built. but it didn't stop Hitler from getting at it. It was during World War II that disaster struck. In June 1944, Germany launched its latest weapon against Britain. each time one hurtled to the ground. Anti-aircraft guns were redeployed to East Anglia to intercept them. Enemy aircraft over the Channel. and hit the water tower. -It went in one side and out the other side. -It missed its target but got the tower. Presumably, a big flood. Was somebody living below at the time? Oh, yes. There were three Miss Humphreys living in the house. and the other two Miss Humphreys had to get her down and out. -And out of the house? -..and out of the house safely. did they have to chop it up in bits up here? and so we unbolted it, we took them down on the pulley. -I'll tell you something, that's some height. You've got to have a head for heights. It's making me feel a bit dizzy, looking down there. -Yeah, I can feel it wobbling now. And, of course, you can hear the wind, can't you? -It just really does give this building a battering. -So what's it like in a thunderstorm? -It's electrifying, I mean, quite literally. it's just a whole body of light comes around you. Thank you so much, Sylvia, for showing me round your house. It's been a great pleasure. -A house of dreams and fun, yes. that the servants would have used to move around the house unseen. Hip baths were still used in the bedrooms right up until 1910.
up and down these stairs to service them. and, of course, me. But right now, we're heading off to auction. Here's a quick re-cap of what's going under the hammer. and put a higher estimate on these bonbon dishes. Let's see if he's right. Georgie's travelling clock truly is a work of art. Will it bring in the chinoiserie collectors? a piece of great 20th-century design. to the historic market town of Diss, for today's auction at TW Gaze. There's already a good crowd browsing the saleroom. today's auctioneer, veteran "Flog It!" expert Elizabeth Talbot. I've got one particularly favourite lot that I want to show you, really. -It's the bright red Mercedes sports car. -And it's not your one parked outside. I think that is tremendous. And I think it's a bargain at 50 quid. but I have never seen one personally with its little scorecard. Colin paid a fiver for that. I'd like to buy that for a fiver. I really would. -I'd give him a profit right now. -Yes, it's a super little piece. Albeit 1950s, but I think there's a nostalgic thing about it. memorabilia at the moment. And that fits beautifully into that era. -And it looks iconic, doesn't it? It really does. as the auction gets under way. but his car is in pole position. Vroom, vroom, we're all revved up, aren't we? -It's just a shame Colin cannot be with us. but we do have his little red Mercedes sports car. And if it was mine, I wouldn't be selling it. Now, it's sweet, isn't it? -I wouldn't mind scaling it up for the real thing. Imagine that. This is lovely. A boxed 1950s German clockwork Mercedes Kompressor. Gallery at 50. I'll take the five. Surely must go further than that. £70, looking for five now. 70 in the gallery. At 70. Any advance on £70? Anybody else can join in at 70. It's a lovely collector's item. -He'll be pleased with that. -Thank you. I hope he gets better soon. I hope he enjoyed his little moment watching it. Well, it was certainly a healthy profit for a £5 outlay. How much 21st-century interest will there be for a silver set from 1891? Congratulations. I think it's going to be a brilliant day. -We're selling six silver bonbon dishes. Adam has just said we should get £50 per item. -Yes, I think so. They're a proper matching set, in a case. Very nice. If they don't sell today, I'll be amazed. with pierce and scroll detail. There's good interest here. I start at £160. They're worth more than that. 170, 180. 190, gallery. 200. 250 now in the gallery. It's 250 above. The gentleman has bid at 250. Are you all done? It comes as a bit of a shock, doesn't it? It's fast and furious in an auction room. It's like... Blink and you'll miss it. -but, look, they have gone. And that's the main thing. -I think we valued them right on the money there. Right, now it's my turn to be the expert in this jam-packed saleroom. that I valued, belonging to Tracey. Unfortunately, he's not very well, so he can't make it today. Fingers crossed you get well soon. is on the rostrum and, fingers crossed, she's going to sell it. We're looking for round about £40. Here we go, this is it. And now I'm feeling nervous! to an easel. Very clever piece of furniture. -This is a good piece. -I do hope you're right. This is lovely at 40, now I'm looking for two. Oh, great! Tracey will be pleased. I'm now out. It's in the room at 150, I'm looking for 60. It's by the door at 150. Any advance? £150 and that hammer's gone down! watching this at home, Tracey. That's a good result. Up next is Georgie's superb travel clock from the 1920s. I found it when we were sorting out Mum and Dad's place. -It's been sitting in the drawer ever since. -Fingers crossed, here we go. I start at £100. 110. 120. 130. 140. At 150, a quality piece. 160. 170. 180. 190. 190 in the middle. 200 in gallery. 210. Downstairs at 230. Where's 40? It's 230, middle bid. Any advance on 230? £300 in the middle bid now. £300. The lady's out. Any advance on the £300? Yes, hammer has gone down! £300. Top end. -That's good. Well done, you, for bringing it. -That was a nice surprise, wasn't it? She thought she was going to take it home. I told you no, it's away. I think George can't quite believe it. A great result. That's it, that concludes our first visit to the auction room today. We are coming back later on in the programme. we're surrounded by fine art and antiques. It's all here to be sold. Which means it gets a new lease of life. It's not consigned to the past. a very important part of Suffolk's regional history. as I found out. Take a look at this. in 1701, the Italianate palace hadn't been built. and create the walled garden. they chose a site much further up the hill. whose produce was needed to feed the family, staff and guests. and also, what colour dinner service was going to be used. and fruit and the right coloured flowers to match the dinner service. And all this would be sent up to the house. How did it get there? Well, with the help from a very hard worker. And that hard worker was a Suffolk Punch horse called Kitty. up to the house every day. Fred Astridge, whose uncle worked in the gardens, remembered Kitty well. She was the most gentle creature that you could ever wish to meet. And she became virtually a 15-year friend of mine. I loved her. and Kitty knew straightaway when I was there. She'd come and push her muzzle into my pocket. I used to take the apples out and give them to her. place in the history of the county after which they are named. Once in widespread use, today they are extremely endangered. Their survival status - critical. the future of this unique animal. some of the work they do with the horses. a standout from other heavy horses? -Why are they so different? They've been bred on this farm for 250 years. That's quite exceptional. because so many people had fathers or grandfathers who worked with them. So it's really rather more than a horse in this area. It is an icon of this countryside, really. having an unbroken chain for 200 years? -Nothing compares to it, does it? some examples of which the Trust have rescued for posterity. However, there is one missing today. -Tracey, thanks for the lift. Tell me a little bit about the work you do with the horses on the farm. ..right through to doing cart rides, cos we have the public in. -How many are there on the farm? -We have 15 at the moment. 15 Suffolks. another four to arrive with us. -when they're foals, watching them grow up, isn't it? -Then starting to school them. -Personally, you can't beat it. You can really, really see them change, develop their characters. Not one horse is the same. Generally they have great natures. They are gentle giants, aren't they? -Well, I'm afraid I'm going to have to disagree. You've got the odd bad one, have you? of carthorse in the world, with the longest written pedigree. one of the most popular work horses in East Anglia. such as this one from 1880. Creating a stud book is a practice that continues to this day. There are quite a few volumes here of stud books for different years. Look at this. A nice, weighty book. Plenty of horses. That's 1940. But look at the difference to 1960. Look. the numbers of Suffolk Punches spiralled into decline. and in particular, its hydraulic lifting gear. you had to pull the plough back to the farmhouse. manually lift the plough, put it on the cart and pull it. With a tractor, you just raise the lifting gear. And off you trundle. It is hassle-free. Or I should say, harness-free. what does the future hold for the Suffolk Punch? Tracey, I can see you're putting a plait in the horse's tail. -Are you getting ready for a show? -Yes. Yes, I am indeed. of the Suffolk Punches, what is their main use today? there's an awful lot of people who have now got into forestry work. -To get into areas where you can't get a tractor. than what a tractor would be. quite popular is that they're becoming ridden horses. There is no reason you can't ride these horses. and what they're able to do. as opposed to the athletes. -That's the way, really, you should think about it, isn't it? I can see that's going to take a good, what, half an hour. -I'll let you get on with it. Thanks for a lovely morning out. The Suffolk Punch is an important part of this country's heritage. a bright future for the Suffolk Punch. Welcome back to our valuation day, here at Ickworth House. hundreds of people are still waiting here for a valuation. a fitting setting for his next item. Angela, here we are in the wonderful dining room at Ickworth House. Surrounded by these large artworks hanging on the wall. You've brought in two, I think, charming 19th-century pictures. Very different but equally charming. Tell me what you know about each picture. Well, they've been in the family for many, many years. -I just remember growing up with them. -I think it's time to pass them on. They are just the sort of slightly quirky, genuine pieces that I like. So let's start up at the top here. We've got this charming little 19th-century silk work picture. it was a little pen work on the silk. -But I looked closer and it's all hand-stitched, isn't it? or perhaps on the way back. Slightly sort of romanticised early 19th-century image. and fauns getting drunk and cavorting in the garden. -You've got your own little rotunda. that really stands out and makes it special. I would perhaps put my hand up at an auction for. -They're not worth a fortune. something like that. Right. Probably £30 for the little plaster cast. we should be looking anywhere in the region of £50-£80. -Well, I'm revamping my patio. -So I need every penny. -Yes, will go towards that. -We are agreed at £50-£80. Let's reserve them at 50. -With a bit of discretion. -Rather than not sell them for the sake of a bid. -and plants towards your patio fund. -Yes, that would be very good. and our off-screen experts are busy valuing all manner of items. Look at that, it wouldn't be "Flog It!" without a Pelham puppet, would it? -How long have you had the puppet? Probably since I was about five or six. -I can't remember when I was that age. -He's in very good condition, actually. -Yeah, it looks to be an early 1960s one. It was Bob Pelham who started making puppets in 1947.
more than 9 million puppets over a period of nearly 40 years. And today, Pelham puppets have become very collectable. I think that fella is great. I really do. Have you got the box? I don't know, I may have. I can't find the box. It could be at home. ..if it's in good condition. this fella is worth about £150-£160. -Because he is in great nick. when she gets home for that all-important box. Adam is sat with another "Flog It!" expert. -Jan, I believe this isn't your first time on the programme. so the first experience must have been all right. -Was it? How long ago was it? Actually, it was back in 2002, Jan.
-Superb. Hat-trick. What a hat-trick. We're back in the area and you thought you'd give it another go. So you've brought along this lovely glass vase. Why don't you like it, what's wrong with it? -Um, I don't know. It's a bit garish, isn't it? -It's nothing that I would put out on show. How did you come to own it? I think it belonged to my husband's great-great-aunt. -It ended up with you, did it? -I don't think anybody else wanted it. -It's lovely quality. It's Bohemian glass. -Which is now the Czech Republic area. But we refer to these as Bohemian glass. -It's end of the 19th century. So, over 100 years old. -Overlaid to get that effect you see. That milky effect on the top. And with these gilded, decorated panels. But it's super quality. It's a really nice thing. -But there's no marking on it. -There's no marking on it. But in our terms, it doesn't need a mark cos it's written all over it. -Is it growing on you yet? -Clearly, you're on the table here, it must be worth something. -Which is presumably a bit more than you thought. -Do you want a reserve on it or...? Great! I like that. You are definitely going to flog it, then. -It'll definitely make 80 whatever happens. -but I reckon we're about right with the estimate. That's great, thanks for coming. What would you do with the money? -Give it to my grandchildren. Right, so split it between them. They can do what they want with it. it smacks of quality, doesn't? was produced, going through his correspondence and paperwork. Tell me, how have you come by this? Is this something that's come to you through the family? a deposit together for a house. -Which, as we all know, is quite a task. -That's a lot of boxes he's going to have to refurbish. and his girlfriend wasn't very pleased. she asked me if I would bring it on his behalf. -And see if we can get his money back? Let's open her up and have a look inside. What first strikes me is the condition. I mean, it's almost as good as the day it was produced, isn't it? We've got marks here - Patent ABC - dispatch box. And we've got a wonderful mark here from the retailer. We've got Jenner & Knewstub. They were "to the queen." So you are talking really top-end retailers. We've got various loops here to perhaps hold pens, rules and so on. If we open this up, this flap folds down nicely. as well as a little blotter here for writing letters and so on. It's been well used, look. -That's probably authentic to the box itself, isn't it? And a nice touch here. Look at that. The quality of that sliding across. Either for correspondence or invoices, that sort of thing. Your son obviously took a shine to it. How much did he pay for it? -OK, well, I think he has paid fair money for it. Because that's the kind of level I see it at. -I see it at about £200-£300. We'll fix the reserve at £200. so it might end up with him making a small loss. But all we need is two people on the day to really fall in love with it. And who knows, it could make top estimate. and spend them on himself. Adam's about to get a bit of religious education. Damaris. Your name is Damaris? -Damaris, that's a very unusual name. -It comes from the book of Acts in the Bible. Damaris was a follower of St Paul. -Have you met any others? -I met one once, I taught one once. Where did you get this copper from? we wanted a coal bucket and we went to the local market. -Are you a Lancashire lady? -Yes, I'm from that area. and I didn't realise what it would look like. Yes, it's come up beautifully, hasn't it? -I've cleaned it ever since. -I've always cleaned it, yes. -Do you remember what it cost you? That's a Lancashire lady for you. -That's not that much, is it? -It was a lot then, though. I wanted to know, really, how old it was. because of the style of decoration to it. It's very much the Art Nouveau, Arts and Crafts style. -I thought it was Arts and Crafts. ..where this was very popular. spades from club suits, aren't they? There are a number of designers that made these sort of things. and there was the Newlyn school of copper. Yes, I wondered about that. -Have you seen any markings on it when you've been cleaning? -You'll be more familiar with this than anybody. -No, I've never found a marking. in the Cumbria's metal workshops. It's certainly an Arts and Crafts, Art Nouveau, 1900s coal bucket. So, cost ten shillings. Today's value? One man I talked to thought it might be 80 to 100.
but 80 to 100 is about the right estimate. I've found out something about it and that's really why I brought it. I'll buy something I like that I don't need. -Something you like, that you don't need. -Like a piece of jewellery. -Very good. Lots of people are going to like that. our wonderful valuation day venue. We've been surrounded by heritage and history. It's been marvellous to be here. Have you enjoyed yourselves? -Yes, and we've all learned so much as well. as we head over to the auction room in Diss. And here is what we're taking with us. found in Clitheroe market for ten shillings. for the 19th-century silk work and those cavorting cherubs. but this glass trumpet vase is superb quality. Let's see how much mileage this one has at the auction room. is conducting the bids from the front of the house. Going under the hammer right now, we've got a 19th-century mixed lot. who's just joined me right now in a packed saleroom. Hopefully, we'll get around £80, top end. Fingers crossed, here we go. The late 19th-century framed plaster plaque. And the associated embroidered silk landscape. There we go, that's pretty pieces there. Nice romantic collectables there. 30, I'll take. Come on, where are you at £30? 30. 32. 50. Now where we started at 50. I'm looking for five. 55 is gallery. 60. Five. 70. Five. 75 is now centre gallery. At 75, looking for 80. Are you all done at 75? Yes, the hammer has gone down! -That's a good price. Well done. -That's a very good price. -We get it right sometimes. -Anyway, that was good. That was successful. That will certainly help towards Angela's patio fund. From the back garden to Central Europe with Jan's Bohemian glass. -I was just about to say that. -There is a clue there, isn't there? why would you want a reserve? You want to flog it. Get it sold. The late 19th, early 20th-century Bohemian glass trumpet vase. Beautiful gilt decoration for this. Elegant vase. Interest on the sheet shown here. I'll start at £55. Bids are in at 55. 80 in the room. At 80, I'm out. -Come on, come on. A few more bids. At £80, back left, any advance on £80? Jan, it's gone. It's gone at the lower end. A bit disappointing, but nevertheless, you didn't like it. Let somebody else enjoy it. -it'd probably end up getting damaged or smashed, wouldn't it? And as we know, Bohemian glass isn't to everybody's taste. copper coal bucket belonging to Damaris. -Lots of love has gone into cleaning that. -Because once you start cleaning it you've got to keep doing it. It has a touch of sort of Keswick school meets Newlyn school about it. That lovely applied metal thing that went on in the early 1900s. -rather than a 20-quid copper thing. There's a bit of punched detail as well. Repousse, as they say. Look, good luck. We're putting this to the test right now. Here we go. Lot 140 next, interest on the sheet shown and I start here at just £65. At 65. Where's 70? 70. Five. -Sadly not at that top end that we were all hoping. No more cleaning! I think that's the good news here. That's the moral - no more cleaning. Yes, that's fine, I'm quite happy with it. belonging to Mandy, who's with me right now. -It's your son's, really, isn't it? He collects. that he's in trouble with the missus for spending £200. -So fingers crossed we'll get his money back. -Let's get the young lad out of trouble. The late Victorian Jenner & Knewstub campaign writing box. Gosh, that's low, isn't it? £75 is bid. At 75. Now I'm looking for 80. 80 bid. 85. 90. Five. 100. It's now £200 in the room. I'll take the ten. -£200 I have. Is the phone coming in? He's either got phone or the internet. 290. 300. I'll take 20. -He's going to be so pleased. She's going to be so pleased. In the room at 460. Any advance on £460? -Is that 70 or 80? 480 in the room. I don't believe him. 480 standing in the front very patiently. At 480. £480. We turned up for battle and we won the fight. -Damon, you've got talent, mate. He's got some talent, hasn't he? He's going to be so pleased. She's going to be so pleased. I suggest he puts the money towards buying more little boxes to do up. we've come to the end of our day here in the auction room in Diss. And what a wonderful way to end. Everybody's happy. We're happy. Join us next time for many more surprises. But until then, from Diss, it's goodbye. This episode comes from Ickworth House, an Italianate palace in the Suffolk countryside. Paul Martin is joined by experts Adam Partridge and Will Axon, who try to help members of the public make money out of their antiques by taking a risk at auction. Will is impressed by a chinoiserie travelling lock found at the back of a wardrobe, but it is a campaign writing box that raises the roof over at the auction - and keeps the crowds in the saleroom entertained! Paul also meets the people trying to safeguard the future of the Suffolk punch horse, which holds a unique place in the history of the county after which they were named.